Kristin Hopkins was injured in a car crash in 2014. Both of her feet were amputated and she sustained a traumatic brain injury. 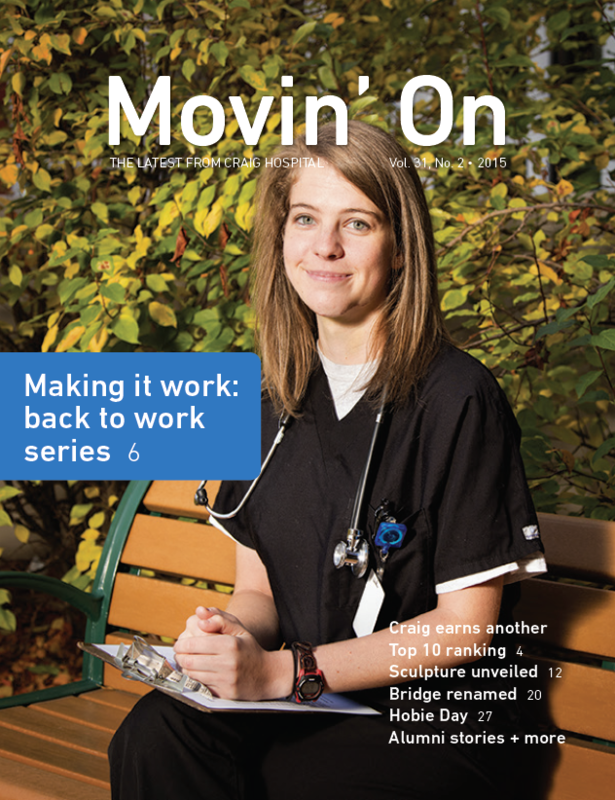 A year after her injury, Kristin contacted Craig Hospital about the symptoms she was still experiencing. She came in for an interdisciplinary outpatient evaluation that included speech, physical, and occupational therapy, a driving test, and visits with a neuropsychologist. 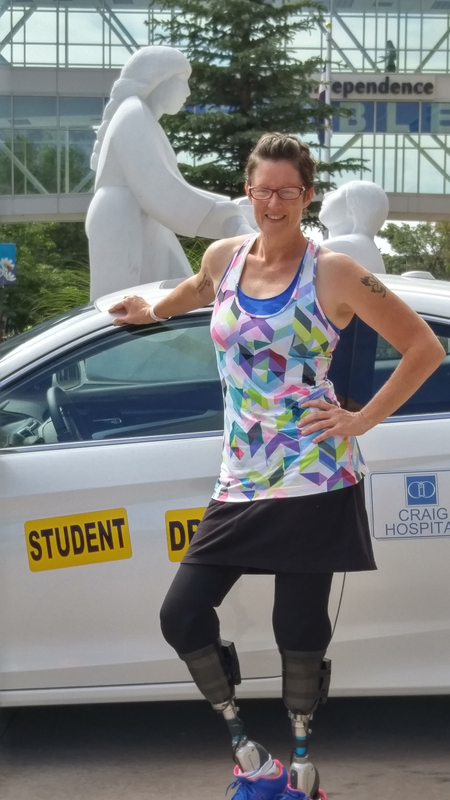 “Craig Hospital has given me more confidence with pretty much everything in my life. With the speech and occupational therapy I have been able to multitask much more efficiently and not be so flustered with trying to find the words when speaking. Am I perfect with that all the time? No, but so much better than what I was like, and I’m continuing to get better. Physical therapy helped me be more confident with trying to do more things than what I thought I was ready for. I can carry things up/down the stairs without hanging on to the railing. I may be slow and have to stutter-step sometimes, but I can do it,” Kristin said. She was excited to get cleared to drive. Kristin also received a scholarship from Craig Hospital for a bike.